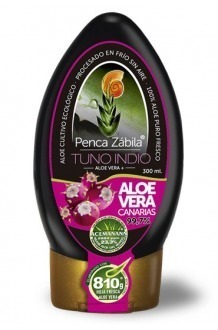 Aloe Vera Juice + Canary Tuno Indio Penca Zabila 300 ml - 99,7% Features:Content of fresh leaves of Aloe Vera Barbadensis Miller: 810 g. Processed in Cold Processing Tunnel without AIR throughout all production cycles, Penca Zabila Exclusive Technology. 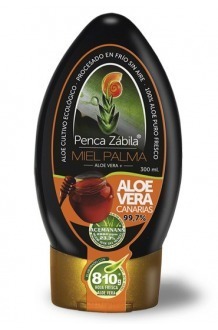 100% Organic Farms Anti Drip dispenser 300ml. 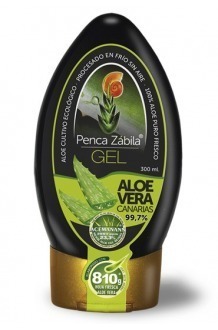 Canary Islands Fresh Aloe Vera pure Juice and Palm Honey Bio from La Gomera for Internal Use at 99.7 % Features:Content of fresh leaves of Aloe Vera Barbadensis Miller: 810 g. Processed in Cold Processing Tunnel without AIR throughout all production cycles, Penca Zabila Exclusive Technology. 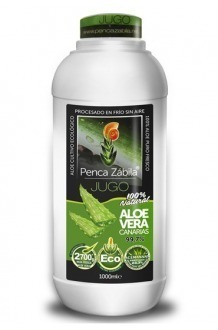 100% Organic Farms Anti Drip dispenser 300ml.